JK Tyre commissioned a new R&D centre at Mysore. 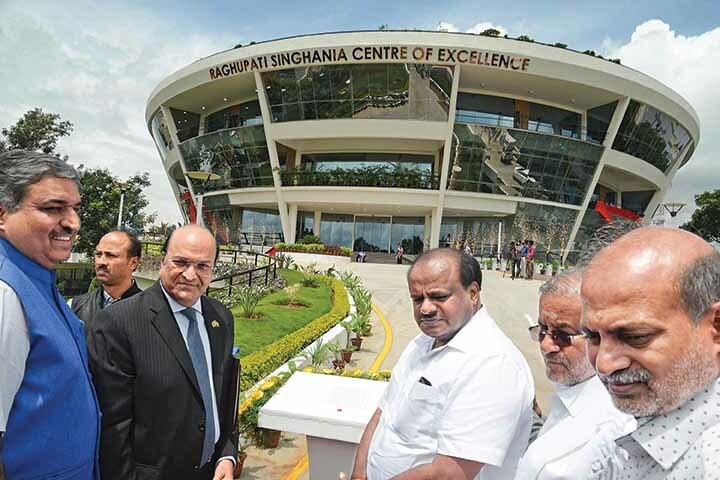 With a presence in 100 countries across six continents, JK Tyre & Industries Ltd. has commissioned a new R&D centre at Mysore to address the changing market requirements as well as the change in perception. With 12 production plants, nine of which are in India and the remaining three are in Mexico, the company is banking on the speed at which the Indian economy is growing for its own growth. The commissioning of the new R&D centre is said to be a part of the strategy to expand the range of tyres and other services the company is offering. At the core of the decision to invest in an R&D centre is the need for advanced technology in tyre manufacture. For a company that introduced radial tyres to the Indian market, JK Tyre is driving innovation with an eye on the future of the changes that will visit the tyre industry. Claimed to be the first of its kind in India, the Raghupati Singhania Centre of Excellence (RPSCOE), is laced with advanced instruments and equipment. It is also equipped with a semi-anechoic chamber for noise, vibration and harshness data analysis. Having elaborate facilities and labs at different levels like tyre testing, noise and vibration testing, magic triangle: rolling resistance testing, and mileage and durability testing, the RPSCOE is approved by NABL. To aid the tyre maker as it experiments with new materials, compound and processes, the PRSCOE, along with the Harishankar Singhania Elastomer and Tyre Research Institute (HASETRI), which was set up by JK Tyre and Industries in 1991 as an independent research and testing center at Mysore brings together the best scientists, engineers and technicians in the field. 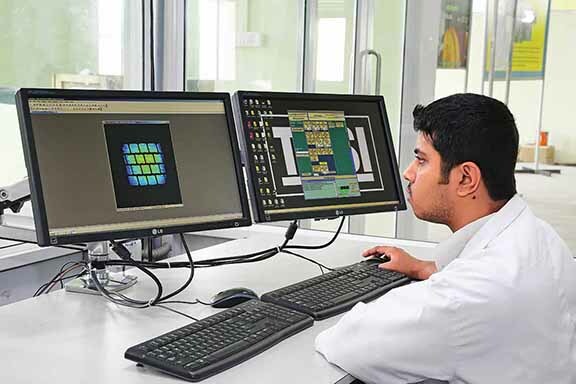 In the interest of product performance optimisation and product design cycle time through simulation and predictive techniques, JK Tyre has dedicated significant resources towards the development of the centre. The RPSCOE, expressed Dr. Raghupati Singhania, Chairman & Managing Director, JK Tyre & Industries Ltd, is a celebration of excellence. “It is a testimony to JK Tyre’s ethos of investing in technology,” he said. “Ever since we introduced India to radial tyre technology in 1977, we have continued our search to stoke the scientific temperament. A year ago, we became the first company in India to roll out the 10 millionth TBR,” explained Dr. Singhania. Focusing on multiple aspects of tyre technology, including the development of advanced laboratory predictors for tyre performance, the RPSCOE adds to the list of many firsts JK Tyre has achieved, Said Dr. Singhania. 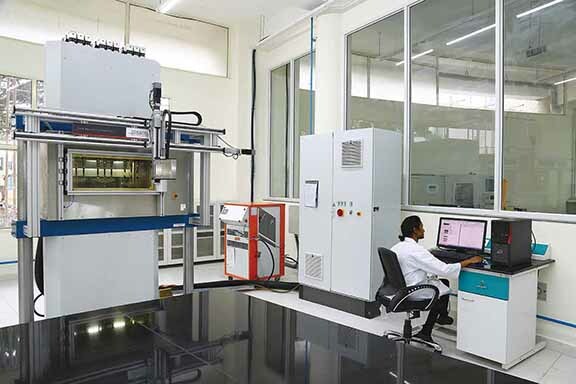 Deriving an edge with the semi-anechoic chamber for noise, vibration and harshness data analysis, the centre will also conduct research on materials and compounds. Apart from the development of future technologies like computational mechanics and tyre characterisation, the centre will collaborate with suppliers, and provide key inputs for the prediction of rubber products. Said the company spokesperson, that the RPSCOE will help JK Tyre to develop new technologies and new designs. To help JK Tyre respond quickly to market changes that are demanding tyres with lower rolling resistance and higher load carrying capability, the RPSCOE, said a scientist on the condition of not revealing his name, will work on the development of tyres that have low rolling resistance coefficient (RRC) and are value for money. Stating that a high RRC will have a positive effect on fuel efficiency, the scientist explained that rubber is visco-elastic in nature. He mentioned that it is made up of different components such as a tread, sidewall, reinforcement of the sides, etc. 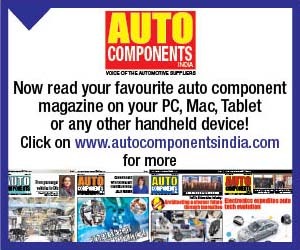 Stating that the centre will work on areas like grip design and ‘tan delta’ to seek a desirable balance between low RRC and higher durability, the scientist said they will also focus on various tyre design parameters like road conditions, operating speeds, load, etc. To aid the company to work closely with its clients from the concept stage, the scientist mentioned that OEM tyre experts often provide tyre priorities and suggest tyre design possibilities to a tyre manufacturer. Work progresses with much flow of information between the OEM and the tyre maker. The tyre maker has to consider the tyre and its design as an overall package. All the parameters have to be built in it. Suggestions of the design teams and other teams are taken into consideration. This is followed by virtual simulation and experimental design, he said. Based on the target properties expected by an OEM, on-ground experimentation of the tyre is carried out. A good correlation between the outcome of the simulations and the results of the experiments on-ground is achieved. Providing insight into vehicle testing, and how it is carried out on all terrains, the scientist said that the final tyre is manufactured based on the results. 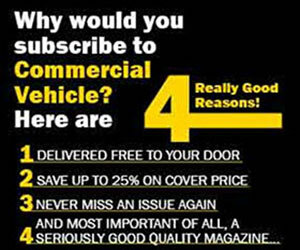 CV tyres, he stated, are witnessing a change in terms of comfort, safety and emissions. With safety and eco-friendliness among the most important requirements, the process of tyre manufacture is attracting safe and eco-friendly practices. Made from composting materials, tyres are beginning to shed weight. To ensure light yet robust tyres, tyre makers are researching on nanotechnology. With JK Tyre, not an exception, the RPSCOE is expected to play an important role. Carrying out advanced research on tyres, the center will look at customer preferences, emerging market trends and regulations. To strive for tyres that offer value for money, the research centre will also help in the inclusion of new technologies like TPMS (Tyre Pressure Monitoring System), which will eventually become mainstream equipment. Not stopping at that, the RPSCOE will also work on electric vehicle tyres. It will look at the complex requirements of EV makers like the amount of noise filtering into the passenger compartment, and the amount of noise outside for pedestrians to be aware. The RPSCOE is certain to help JK Tyre to look at new possibilities and research directions. 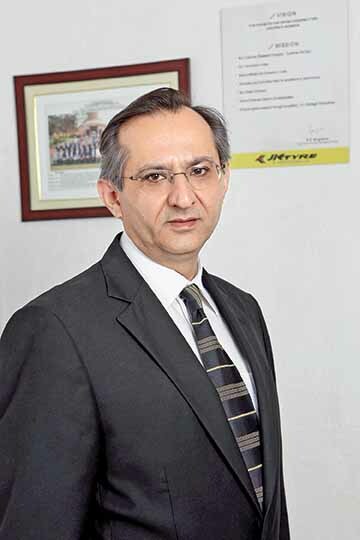 Vikram Malhotra, Marketing Director, JK Tyre & Industries Ltd.
Q. 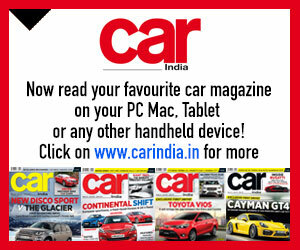 How do you look at the new R&D centre in view of the changing Indian tyre market? A. India is a priority market for JK Tyre. We are focusing on establishing our presence across categories by entering non-traditional tyre categories. Our key product launches, Blaze and Shresth have helped us to penetrate the two-wheeler and farm tyre segments. We want to replicate our success in TBRs in these two segments. We are also focusing on after-sales services. We are strengthening our network across the country to provide cradle-to-grave solutions for TBR customers. Our brand retail shops, Truck Wheels, Steel Wheels and Retread Centres are driving customer satisfaction by delivering a lower cost-per-kilometre experience to the consumer. 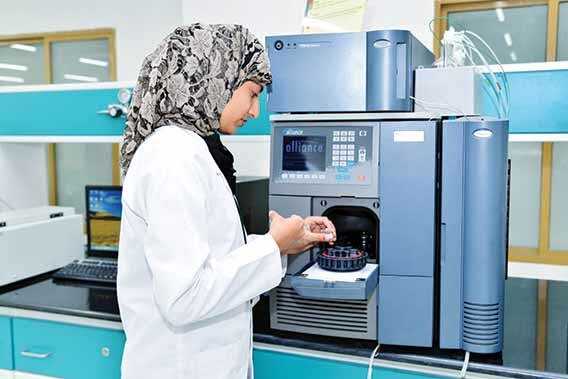 We are strengthening our product base by making significant investments in research and development. We are pioneering technology across segments, be it the introduction of radial tyres or be the first company to produce 10 million TBRs. We are engaging global technology experts, entering into projects with international institutions, developing value-engineered products, and widening our product range to carve out a larger global footprint. Entering enduring relationships with OEMs and raw material suppliers, our strategy is to constantly monitor customer needs and develop tyres based on their feedback. Q. How is your retail front performing? A. External challenges, demonetisation, implementation of GST and a surge in raw material prices, impacted numbers. Despite these factors, we clocked 11 per cent growth in FY 2017-18. It was more than the industry average. Our focus on consumer requirements, and a multi-channel and multi-form network approach helped. 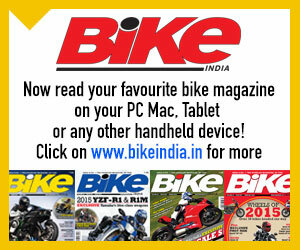 We want to replicate our success in TBRs in the two-wheeler and farm tyre segments. The after-sales market is one of our core focus areas. We provide after-sales services through 40 Truck Wheels, over 300 Steel Wheels, over 60 Xpress Wheels and 40 Retread centres. Strategically located, these brand retail shops provide 360-degree experience to our consumers. They provide total tyre solutions and an experts-assisted immersive tyre purchasing experience. For servicing our customers in semi-urban and rural areas, Xpress Wheels centres retail an extensive product range, including PCR, farm, two and three-wheeler tyres. Q. How are you looking at the threat of cheaper Chinese tyres? A. The imposition of anti-dumping duty has helped by creating a level playing field. Illegal tyre imports continue to be a matter of concern, however. These tyres are making their way to the domestic market through Thailand. Q. What are the key challenges a tyre manufacturer faces today? A. The inverted duty structure is a challenge. It is putting pressure on manufacturers, resulting in a cost increase. This should be corrected and brought on par with the duty imposed on natural rubber. We are finding it difficult to pass the increase in price to the market. The industry has witnessed a significant decline in production and capacity utilisation due to the number of imports. Q. 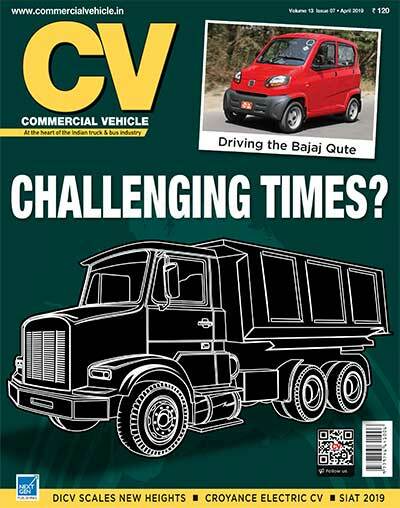 How do you plan to grow in the CV tyre segments? A. We want to constantly innovate, disrupt and challenge ourselves. From a modest start to pioneering radial technology, to leading the commercial vehicle (CV) segment, we want to focus, barring external factors like changing market dynamics, on elevating the performance and quality of our product range. We are also looking at linear capacity expansion. We will make requisite investments in technology and R&D. Our focus on innovation and technology is what differentiates us from the competition. We have always been at the forefront of driving new products and shall continue to do so. A multi-tier strategy to cater to various segments in the CV tyre category through a customised 360-degree experience will help us to stay ahead of the competition. Q. To support growth, are you looking at a significant capacity expansion? A. The Indian tyre industry has immense potential. Evolving market dynamics are ensuring that there is no compromise on quality and performance. The consumer today is more aware. With him in focus, we are aiming at developing technological excellence for the tyres of the future. We are looking at registering 100 per cent output with 85 per cent capacity utilisation in the TBR segment. Q. What are your plans for the export markets? A. Our exports grew by 34 per cent to Rs.1,258 crore in FY2017-18 compared to Rs.937 crore in FY 2016-17. They were driven by new products and a wider reach in the North American market. Our Tornel facility gave us greater access to the Americas. We also enhanced our OEM presence by establishing successful partnerships through Tornel. We are predominantly catering to tyre replacements in the export market. These include TBR, TBB and PCR segments. We are developing market specific products for direct OEM sales. Our Mexican operations are now selling directly to OEMs like Chrysler, New Holland, Nissan, John Deere and Renault. The Mexican portfolio is dominated by passenger car tyres, followed by trucks, LCVs, Farm and industrial tyres. To bolster our global presence, we fuelled mass merchandise initiatives with Walmart in Mexico and opened a new office in North America. We have been able to tap the market by bringing synergy with manufacturing in Tornel and a more focused approach towards the development of product mix. We will be shortly opening new marketing hubs in South America and Africa.